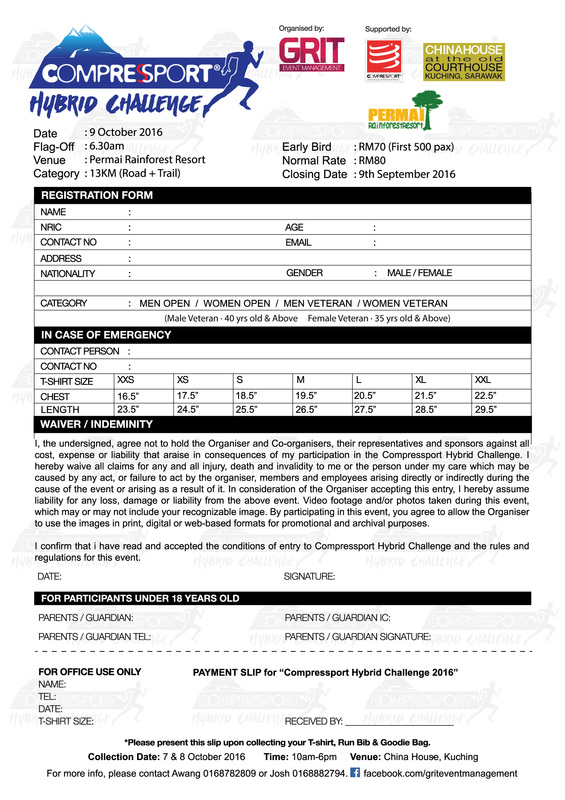 [vc_row][vc_column width=”1/2″][vc_column_text]The Compressport Hybrid Challenge is finally out and ready for registration. 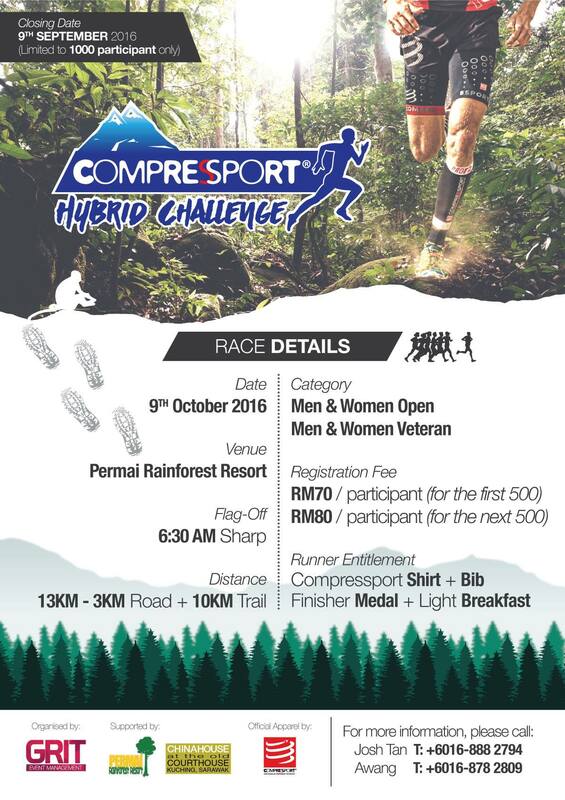 Our second trail run after Permai Trail Road Run 2016 in January. This time with different route while maintaining the fun. We will pass 3 waterfall, hanging bridge, rope bridge, logs crossing and some vertical climbing needed as well. Reward yourself with coconut drink beside the beach with a nasi lemak or bee hoon after that. Limited to 1000 runners only ! You can download the form below first and submit at the venue above. This entry was posted in Past Events and tagged hybrid challenge, kuching.